Based on real events, the fi lm follows two young musicians, Ashkan and Negar, who are promised a gig in London and embark on a frantic mission to assemble a backing band. The couple have recently served prison terms for breaching the ban on ‘Western and decadent music’, and for Negar, these activities are particularly dangerous: as a female musician, unauthorised public performances can carry savage penalties. Now, they face a search for the elusive and costly paperwork that will permit them to leave for Europe. Teaming up with promoter and bootlegger Nader, their search takes them into Tehran and a vibrant underground culture of rappers, rockers, electro-artists and singer-songwriters who risk arrest to perform Western songs overlaid with their own politicised lyrics. But as Negar and Ashkan try to convince others to follow their lead, the risks that they are taking become all too apparent. 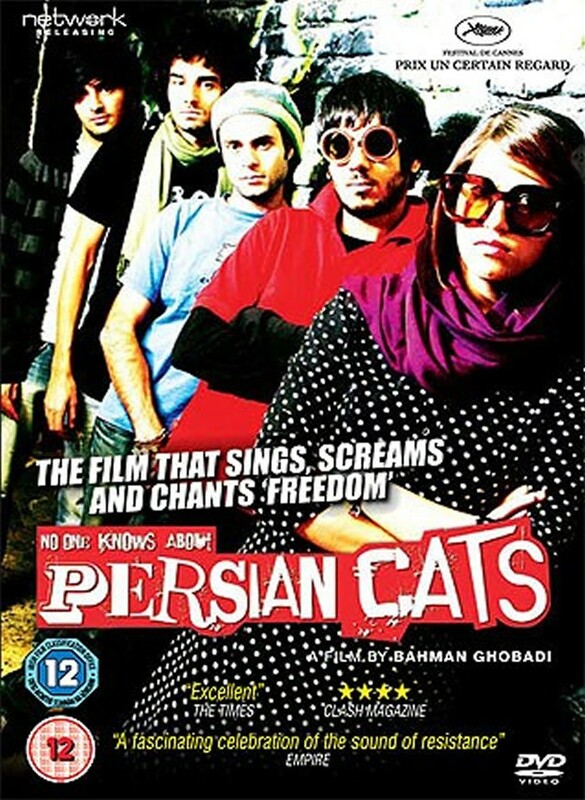 The winner of Cannes’ Un Certain Regard Special Jury Prize in 2009, No One Knows About Persian Cats - the title a reference to a law that forbids cats and dogs to wander outdoors - has been described as “a love/ hate letter to Tehran itself”. Hand-held camerawork lends a fresh, documentary-style energy and naturalism, and writers include Ghobadi himself and journalist Roxana Saberi (both of whom have been imprisoned in Iran). The fi lm is both a unique portrait of a society and a generation, and a defi ant, courageous plea for openness and freedom of expression.